Overwatch fans already know the deal. You finally open up a loot box and instead of some legendary item, you get yet another lame skin for Zenyatta. Much cursing ensues. Well fear not, Blizzard has heard your cry and is finally updating the loot box system so that you get fewer duplicates. In a developer update today, Overwatch game director Jeff Kaplan provided updates on the loot box and highlights systems. According to Kaplan, "One of the things that we’re going to do is drastically reduce the rate of duplicates that you’ll get out of any loot box. We think this will be immediately evident and extremely significant for all of our players and we think it’s going to feel fantastic." 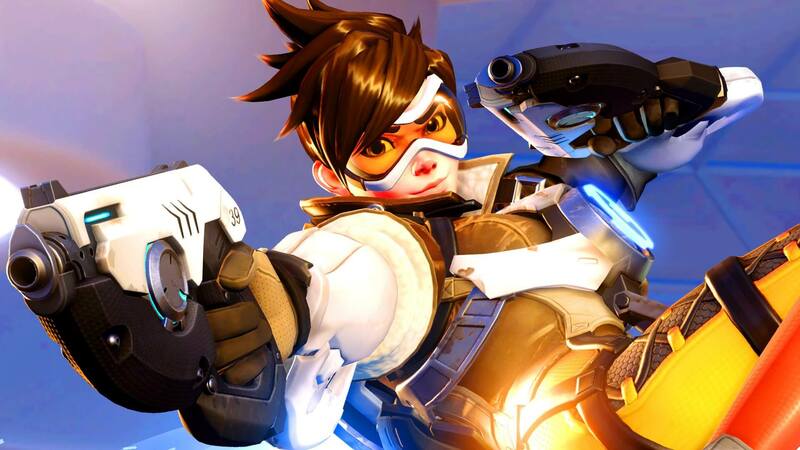 Overwatch veterans also know that the amount of credits doled out is paltry when getting duplicate skins. Blizzard has you covered yet again. "To compensate we’re going to increase the amount of credits you get out of loot boxes,” Kaplan added. “We’ll make sure that your credit intake will be at least the same if not more when all of this is done." Special events such as the Chinese New Year, Halloween, Christmas, last year's Summer Games, or the recent Anniversary usually has a slew of new content including specialty game modes (Junkenstein's Revenge was my favorite), new emotes, and of course new skins. Unfortunately, the skins are specific to the event that's happening and notoriously hard to get without putting in tons of hours (or paying out real money for more loot boxes). Even worse, once the event ends, the skins are impossible to get if you weren't able to get it previously. The game will continue to automatically generate highlights for you based on your recent gameplay. These auto-generated highlights—now categorized as "Today's Top 5"—will be surfaced on a daily basis and persist for a full 24 hours (or until the game client is patched, whichever happens first). With the above, players can now record any of their "Top 5" or "Recently Captured" highlights, exporting them as a video file to their gaming platform’s designated media library (on console) or directory (on PC). On PC, players will also have the option to select the quality at which these highlights are exported, supporting up to 4K at 60 FPS for Windows 8 or higher operating systems, and up to 1080p on Windows 7. Watch the full developer update below.